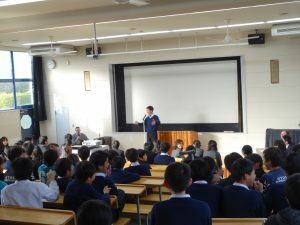 On January 16th Gyosei International Junior High School held its 8th annual spelling bee. 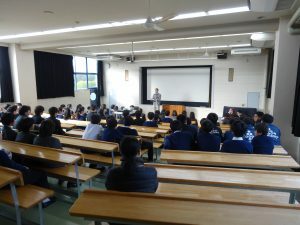 16 students fought it out for over an hour to decide who would go through to the Japan Times Bee in Tokyo this March. This year the competition was fiercer than it has ever been, and we would like to congratulate all of the competitors for all the time and effort they put in. 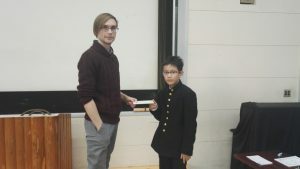 However, there could only be one winner, and this year J1I’s Hien Takazawa managed to clinch victory after 18 rounds. Congratulations Hien, and good luck in Tokyo.